I have absolutely no doubt that Big Bend National Park will always be one of my favorite parks. It was here that I was first hired as a park ranger in 1975 and later became the Executive Director of the Big Bend Natural History Association. 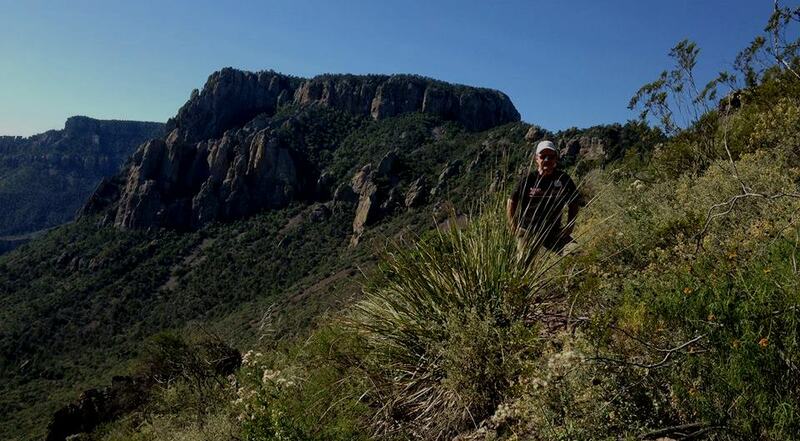 I spent the best part of my 17 years living and working at Panther Junction Park Headquarters and the Chisos Basin. To experience Big Bend one must plan on the visit as a destination, not as a drive through trip on your way somewhere else. You need at least three full days to see the major sights and you better plan on getting out your car and taking a least a short walk along each of the major trails. Don’t let a 5 mile round trip to the top of Lost Mine Trail discourage you because you are not in the best shape. Simply hike as far as you can and turn around if you must, just get out of the car for Pete’s sake! The best time to go would be the cooler months of October to February, although if you are in good shape and can take the heat, almost any day of the year is a good time to go. If you appreciate the wonders of the natural world and the geologic landscape, you’re going to love Big Bend. Be sure to protect yourself from the sun and always carry water. Here are a few of my travel tips for anyone visiting the park. 1. Don’t miss hiking inside Santa Elena Canyon at sunrise and dinner at the Starlight Theater in the evening where you can oftentimes see a great sunset. Get there at least 1-2 hours before sunset to walk around the ghost town and there is a great gift shop next to the Starlight. 2. The hike to the top of Lost Mine Trail is another must do hike on another morning and go to the top, take a lunch and water and enjoy. 3. On the east side of the park go to the Hot Springs for sunset and a night time (dark) dip in the springs. Bring a flashlight. The Boquillas Canyon trail on the east side of the park is also great early morning and you can go to Boquillas for lunch. Say hi to the Falcon Family.